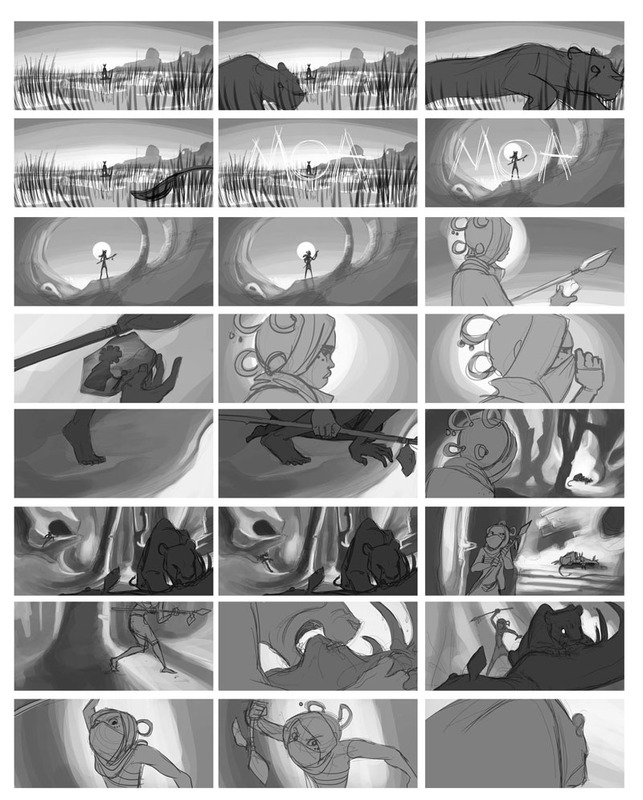 Introductory boards for a personal project. 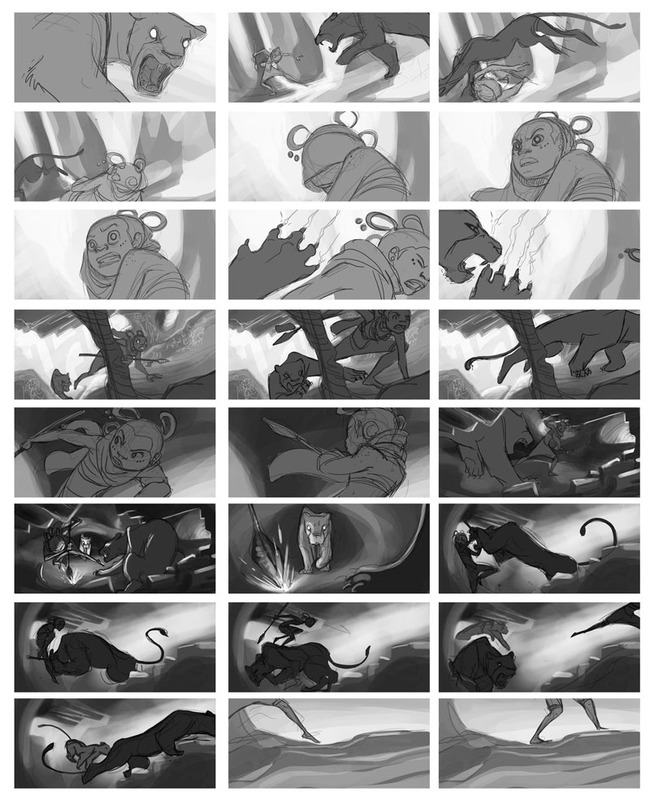 Commissioned boards for a short animated film. 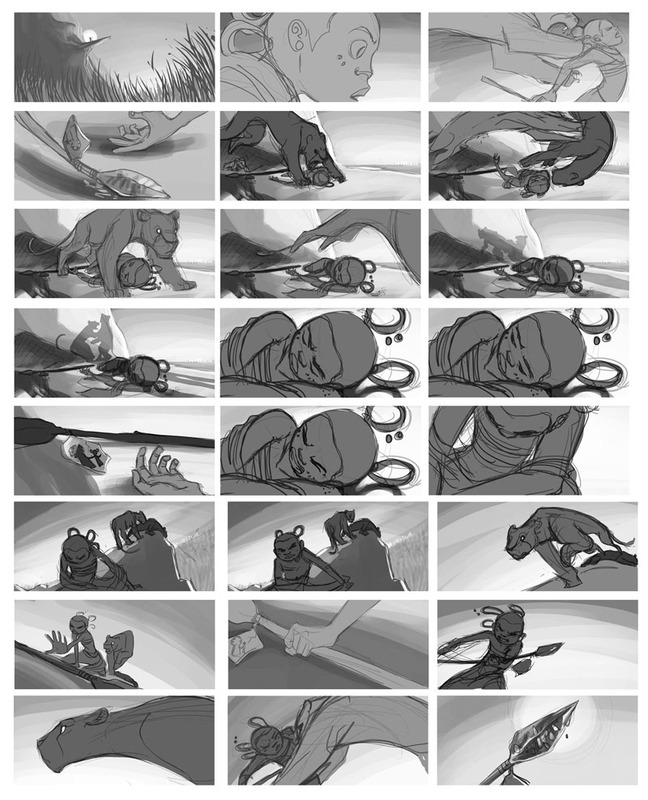 This short scene was an exercise to get to know the ToonBoom Storyboard Pro program, and practice some fun action at the same time! 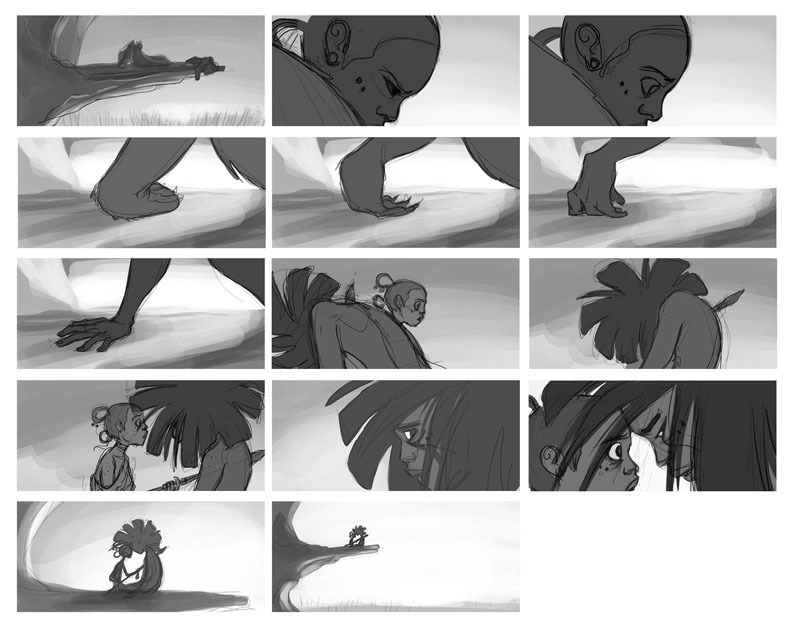 Following are the animatic and beat boards for my graduation film project, 'Vow' (then titled Moa). The story transformed greatly in the process of making the film, but this version is the one that made it to the screen. You can also view the final film here, on my animation page. Puppy Love is a short film, directed by Jordan Hess, which I boarded during my final year at SCAD. 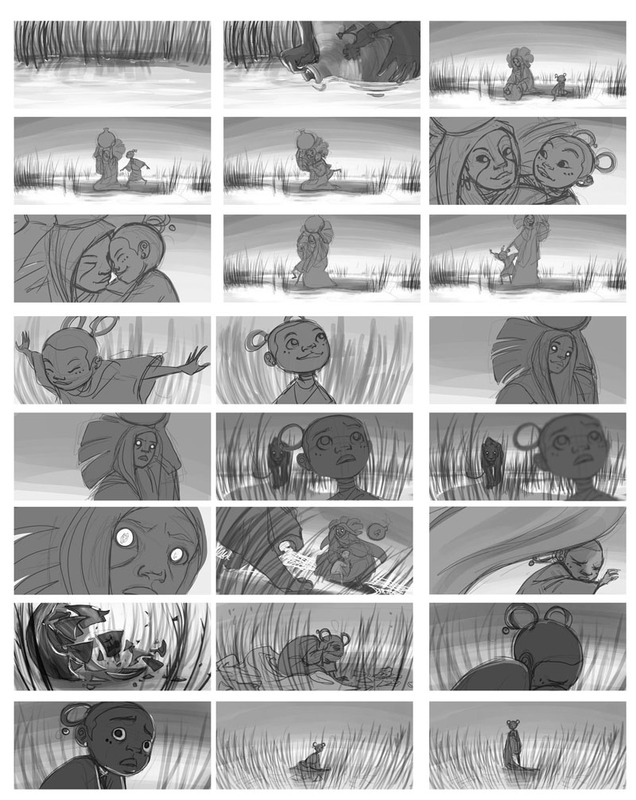 Below is the final animatic.